Summer bucket list seasonal activity guide for kids. Enjoy this awesome collection of classic summer activities for kids and families. Use this summer activity guide to get outside, enjoy classic family fun, and spend time playing and exploring with friends. Related: Fall Bucket List Family Guide for the Best Autumn Ever! There are only 30 activities listed in this seasonal activity guide for kids and families, but there are hundreds of ideas to enjoy… dare to try something new this summer! With that being said, I like to think of this summer activity guide as a childhood “summers” bucket list. You may not be able to do all of these activities in one 2-3 month period, but I’ll bet you can help your children try them all throughout their entire childhood. 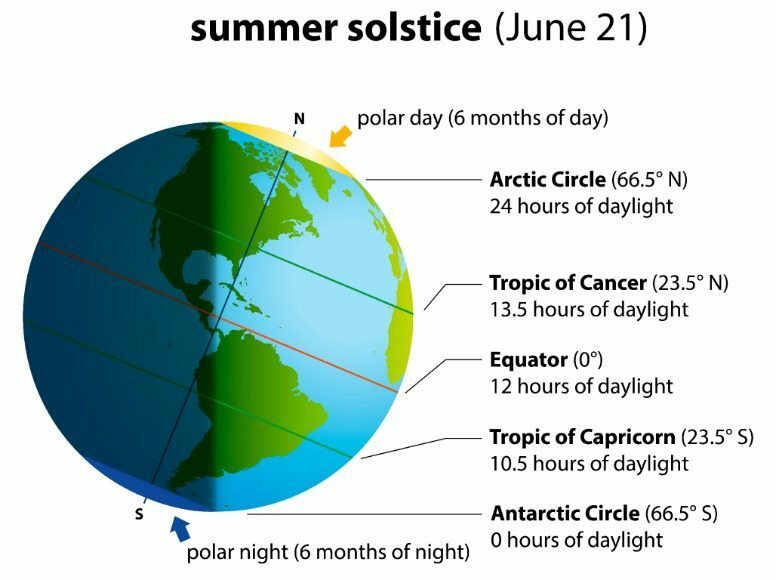 The summer solstice is said to mark the beginning of summer in some areas, while other parts of the world call it “midsummer.” The summer solstice usually falls between June 20 and June 22 in the Northern Hemisphere. In the Southern Hemisphere, the summer solstice occurs between December 20 and December 22. Learn more about the solstice and welcome the summer with these fun summer solstice celebration ideas! Whether at the beach or in the backyard, building a sandcastle is a classic summer activity for young and old alike. Making sand castles with my brothers is one of my favorite memories of childhood. A bunch of amazing DIY sandboxes and ready-made options can be found in this awesome collection of backyard sandboxes. For sandcastle building tips and ideas click on the link. Our spring bucket list includes “plant flowers” and “start a garden” so we decided a fun bucket list idea for summer would be to help a garden grow. No sense planting flowers, fruits, and vegetables without tending them, right? Learn how to plant flowers, grow sunflowers, or make your own fairy garden. Another fun idea is to teach kids how to plant tomatoes. Click on the links to read our gardening with kids tutorials and learn how to help a garden grow. One of the easiest ways to help a garden grow is by watering it. Our little helper loves to water the plants in our home and garden so much she doesn’t even know it’s a chore. Read how to raise a helper for more information. Rock painting is a fun and easy nature craft for kids and adults of all ages. 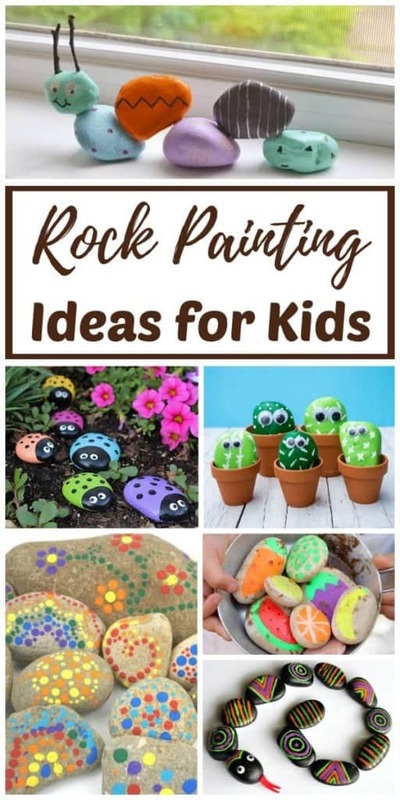 Collect rocks and stones and have fun painting them with your kids. Click on the link to learn how to paint rocks. Scavenger hunts are a classic summer activity for kids of all ages. We created a nature scavenger hunt with a sensory card to make it super easy to hunt for items commonly found in your area. Using a nature sensory card also makes it a lot easier for toddlers to go on a scavenger hunt. Another fun idea is to go on a heart shape nature scavenger hunt. You may also enjoy sending the kids out on a nature sensory bin scavenger hunt. 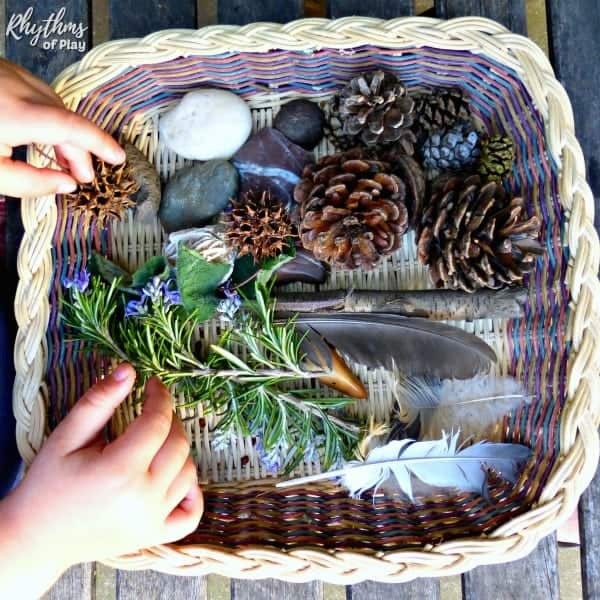 Use the natural items that they find to make a nature sensory bin or basket. Click on the links to learn more! Summer vacation just wouldn’t be complete without playing in the sprinklers. We have put together a collection of water-wise sprinkler play tips to help you conserve water while having fun. Hike, bike, swim, surf, waterski, wakeboard, skate, boulder, climb or whatever else it is you love to do all day until you drop from exhaustion. Spend as much time as you can at a beach, lake, creek and/or pool. If you like to go to the beach, check out our beach and ocean swimming safety tips. Get outside and join a softball or soccer league or any other team activity offered in your area. Ultimate frisbee has always been one of my personal favorites! Another fun idea is to attend a sporting event. Being a spectator at a sporting event is a classic outdoor summer activity for both kids and adults! Take the whole family to at least one sporting event, such as a swimming event or a baseball game this year. Collect items from nature and make a summer nature table. There are many items waiting for you and your child to discover right outside your door, but we encourage you to look in other areas too. Making a nature sensory bin for your nature table is another fantastic activity for sensory development. It’s also an easy way to help children learn about the region or area that they live in. Getting outdoors with the family, and using that all of that expensive gear, should be something we all do more than once per year. We encourage you to get out there and enjoy your city, county, state, and national parks as many times as you can this summer, and as many times as you can throughout the year. Invite the kids to paint with summer colors as a process art activity. Use watercolors, tempera paints, or chalk paint in a combination of summer colors as a way to encourage your children to play with art materials and painting techniques. We encourage you to give wet on wet watercolor or recycled chalk paint a try. You may also like this collection of flower art ideas and rainbow art projects kids LOVE! Take the kids to an amusement park near or far, big or small over the break. Make and keep a nature journal or notebook throughout the year. A nature journal is a place to record your thoughts, observations, and experiences with nature. Keeping one provides a rich opportunity to study the natural world. If you have a budding naturalist at home, you may also like our favorite nature study supplies. Gather family and friends to play backyard games. Some of our family favorites can be found below. Get outside with the kids to try some outdoor art. 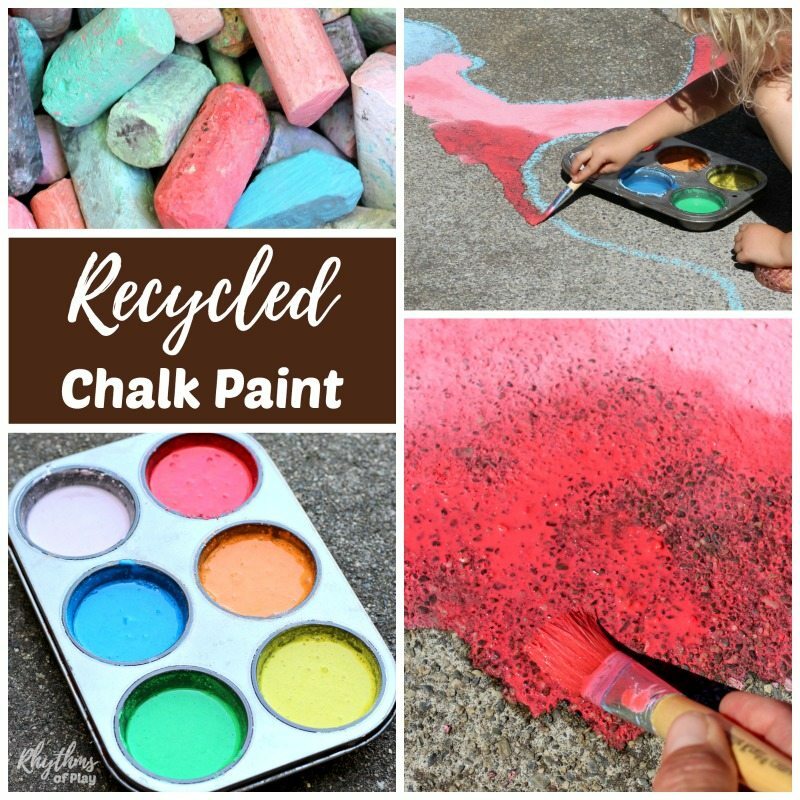 One of our favorites is to make recycled chalk paint out of small broken pieces of chalk and using it to paint shadow art. Build a DIY outdoor art table and mud kitchen to make outdoor art easy. Making mud pies and creating mud sculptures of all kinds is a great summer activity for kids that also has a lot of sensory benefits. An outdoor chalkboard provides an easy space for children to create art outdoors. Click on the link to learn how easy it is to make one. 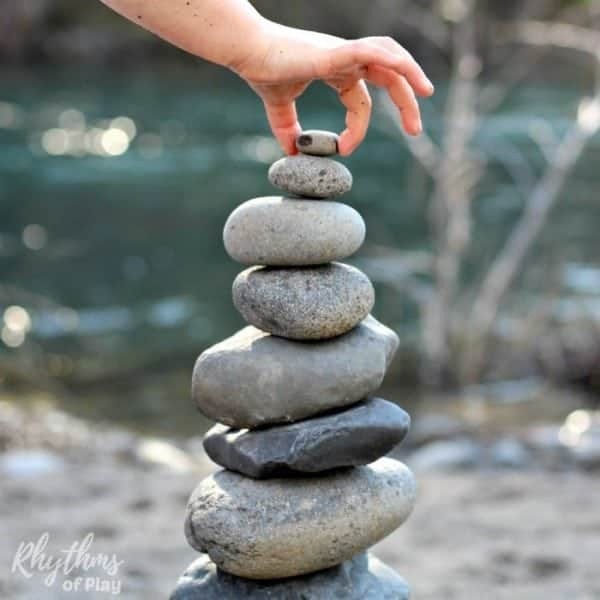 Another fun idea is to balance rocks and stack stones and create other types of land art. Using natural materials to create mandalas is another fun activity to try whether you are on the beach or out in the woods. Spend time exploring shores near and far. Children can spend hours playing and learning on the shores of beaches and lakes. From large bodies of water to small tidepools and creeks with small nooks and crannies there is always something new to explore. During the warmer months, my daughter and I eat a picnic lunch, even when we are still at home. Whether in the backyard, at the park, or on the beach take the time to enjoy a few picnics this summer. 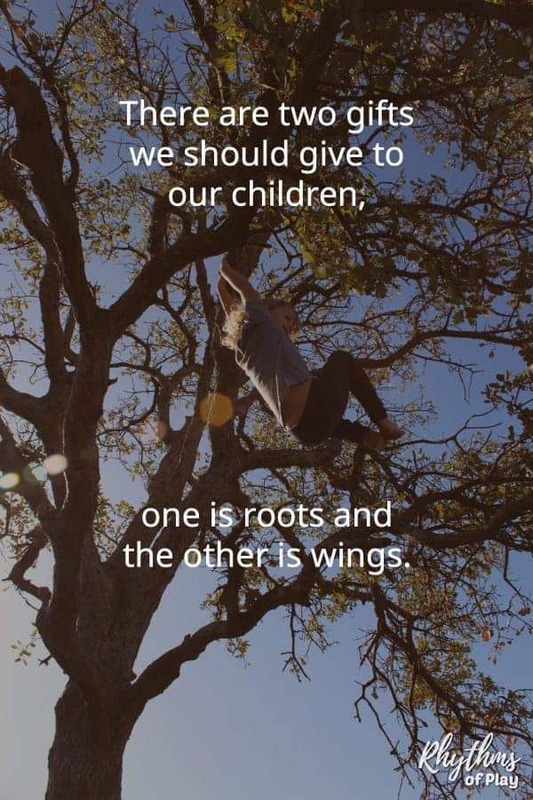 Allow your children to climb lots of trees. Tree climbing is a risky play activity that has many benefits for the developing child. Kids love the challenge of climbing trees. Local city, state, and county fairs are another fun outdoor summer activity for the whole family. Check your local listings for a summer fair in your area. One of my all-time favorite activities, when I was a kid, was to go berry picking with my brothers. Click on the link to learn our berry foraging tips and how to find a berry picking farm near you! I can remember spending hours building forts with my brothers both inside during the colder months and outside during the warmer months. Use fallen limbs, salvaged wood, and old sheets to build a fort in a tree or on land. Or get creative and build a sturdy tree house made to last with the whole family. Another fun idea is to grow a sunflower fort or bean pole teepee! 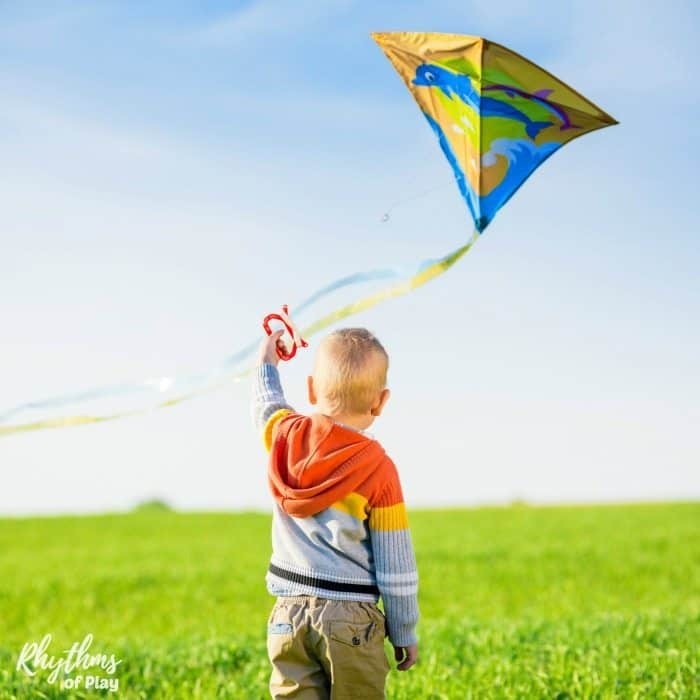 Learn how to launch a kite, use it as an opportunity to learn, and teach kids to fly a kite safely with our simple kite flying tips and tutorials. If it rains in the summer where you live… play in the rain! Have a water balloon fight or water soaker war. Sand and water table ideas. Play in a creek, lake, ocean or pool. Read lots of books… or read a lot of books aloud with your child. Visit your local library and used bookstores to search for your next read aloud or check out some of our popular booklists below. A great chapter book series for both first-time readers or reading aloud to your child is the Magic Tree House Chapter Book Series. Get out the BBQ’s, make some potluck dishes, and throw a block party with your neighbors. Many towns and cities will give you permission to block off residential streets for a few hours if you contact the right people and jump through the proper hoops. Contact your local city hall for more information. Send your children off to camp or enjoy summer camp at home. Click on the link to learn more. Take time out of your busy summer to enjoy at least one sunrise and at least one sunset. You may even want to try staying up all night. Every time my brothers and I tried it we learned it wasn’t such a great idea the next day, but it sure was fun! Take the kids to an observatory or spend a summer night backyard stargazing. Another great time to spend time looking up at the stars is on a family camping trip. 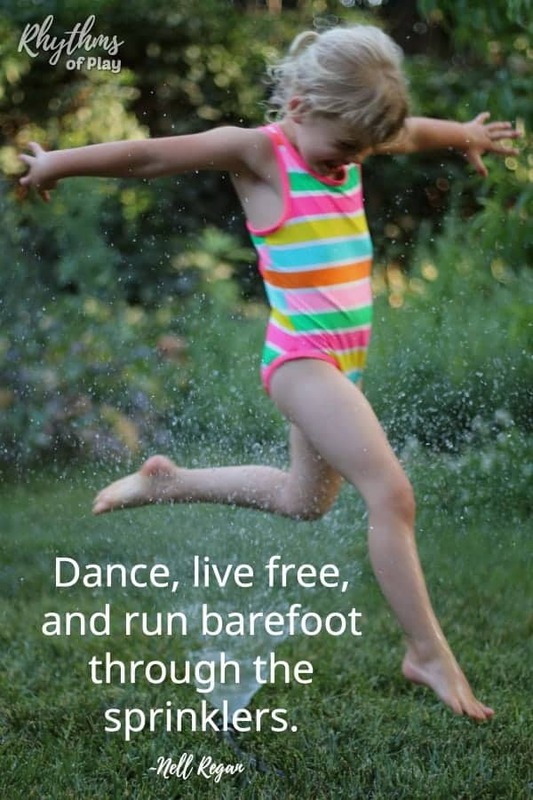 This list of classic summer ideas will keep the kids busy all summer long for many years to come. Get outside and enjoy classic family fun with any of the ideas listed above.